Free Rum Tasting for National Rum Day! 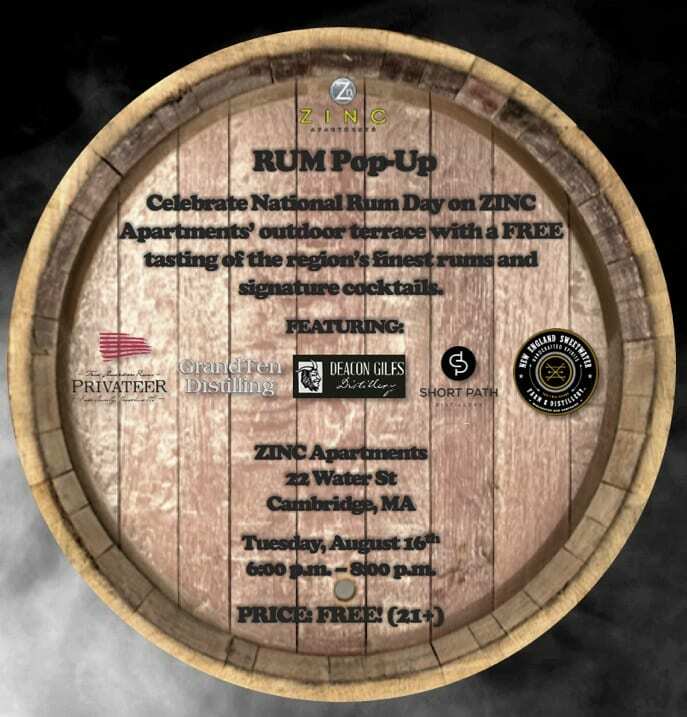 On Tuesday, August 16, 2016, Zinc Apartments in Cambridge is celebrating National Rum Day with a free rum tasting from 6-8pm! Enjoy this fun rum pop-up outside with some of the region’s best distilleries from Privateer Rum, GrandTen Distillery, Deacon Giles Distillery and New England Sweetwater Farm and Distillery. Zinc Apartments is located at 22 Water Street in Cambridge and one block away from Lechmere Station. 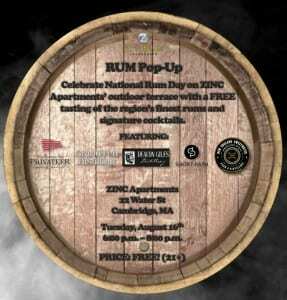 For more information about a Free Rum Tasting at Zinc Apartments or to RSVP, please head here.